Forex Online Course is design to help Foreign Trader who like to get the best knowledge in Forex Industry BUT cannot come to Malaysia to learn that due to Budget Issue. If you can fly to Malaysia with budget airline, i like to suggest to you that it is better to attend the 3 days advance course where i will teach you personally in small group. if you are from China, Hong Kong or Singapore. sometime i might have trading course in these countries. I will use Skype and Teamviewer to teach you online One to One for 3 days and later backup all you knowledge with 2 years Advance Mentorship Program or 1 year Basic Mentorship Program, depending on the course that you choose. Online courses can be compared to distance learning in a college-level class. An instructor provides PowerPoint presentations, eBooks, trading simulations and so on. A trader will move through the beginner, intermediate and advanced levels that most online courses offer. For a trader with limited foreign exchange knowledge, a course like this can be invaluable. These courses can range from $50 to well into the hundreds of dollars. 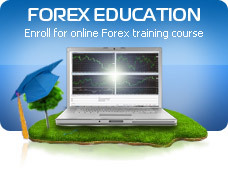 Individual training is much more specific, and it is advised that a trader have basic forex training before entering. An assigned mentor, typically a successful trader, will go through strategy and risk management, but spend the bulk of the time teaching through placing actual trades. Individual training runs between $1,500 and $15,000. The reputation of a course is best gauged by talking with other traders and participating in online forums. The more information you can gather from people, who have taken these courses, the more confident you can be that you will make the right choice. However, each country has its own regulatory boards, and international courses may be certified by different organizations. Trading courses can require a solid commitment (if individual mentoring is involved) or can be as flexible as online podcast, Skype, Teamviewer classes (for Internet-based learning). Before choosing a course, carefully examine the time and cost commitments, as they vary widely. “The CFTC has witnessed increasing numbers, and a growing complexity, of financial investment opportunities in recent years, including a sharp rise in foreign currency (forex) trading scams. While trading courses offer a structured way of learning foreign exchange, they aren’t the only option for a beginning trader. Those who are talented self-learners can take advantage of free options online, such as trading books, free articles, professional strategies and fundamental and technical analysis. Again, even though the information is free, make sure it is from a credible source that has no bias in how or where you trade. This can be a difficult way to learn, as good information is scattered, but for a trader starting out on a tight budget it can be well worth the time invested. Before jumping in with the sharks, getting trading advice in the highly volatile forex marketplace should be a top priority. Success in stocks and bonds does not necessarily breed success in currency. Trading courses – either through individual mentoring or online learning – can provide a trader with all the tools for a profitable experience.